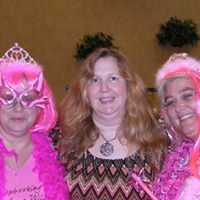 LA ,MS & West TN Events with Deb - ByYou Girl Scrapbooking & More! ​ByYou Scrapbooking is now based in Southaven,MS and will be hosting local events themed events in Memphis, Louisiana & the Jackson MS area so stay tuned for more 2019 events to be posted soon!! Sign up at the bottom of the page to be added to our mailing list or click the button to join us on Facebook! Day Crops with Jodi's Kiwi Lane Adventures in Arlington,TN. Next Crop is April 6th! Join our Facebook Group to sign up or send me an email below!! Plans are in the works for Scrapbooking Crops in the Gulf Coast area! Our 2019 Scrapbook Cruise out of New Orleans was a blast! Future cruises are in the works! Sign Up Here to Be Added to our Mailing List!! Please comment the area's and events you are interested in! !